The Fitness Mad Universal Barbell - 10kg (22lbs) incorporates the usefulness of a dumbbell with the stability of a barbell. The barbell has 360-degree rotating grips letting you to rotate as you curl and lift thus providing comfort and efficiency during your strength-training workout. It features the Burn Machine’s patented asymmetrical sliding counterweight, designed to involve your core with unmatched power. The barbell can handle the maximum weight of 200lbs (90kg) and is designed for standard plates. Olympic plates can be also used with the Burn Machine’s Olympic Adapter Kit (not included). for submitting product information about Fitness Mad Universal Barbell - 10kg We aim to answer all questions within 2-3 days. for submitting product information about Fitness Mad Universal Barbell - 10kg. We aim to answer all questions within 2-3 days. If you provided your name and email address, we will email you as soon as the answer is published. 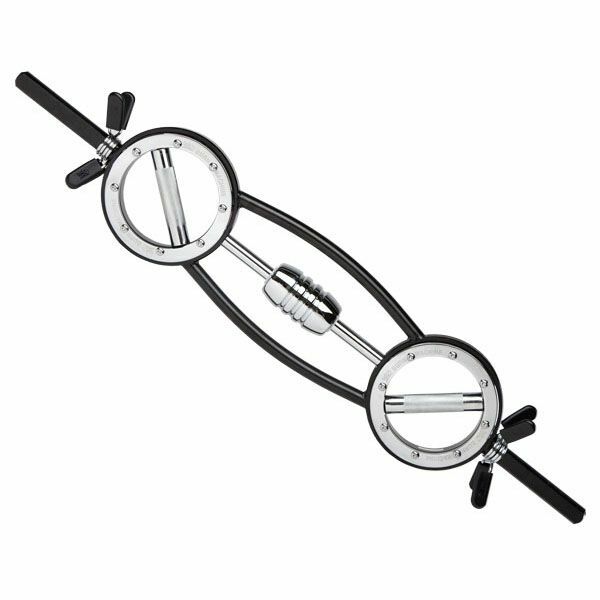 for submitting product review about Fitness Mad Universal Barbell - 10kg.